According to the Insurance Institute for Highway Safety, in 2008 there were 21.6 million licensed drivers 70 years or older on the road. That is roughly ten percent of the total of licensed drivers on the road. Even more eye opening, our population is getting older and the “Baby Boomer” generation is now our grander, senior citizens. As our medical care improves, people are living longer and the AAA Foundation for Driver Safety estimates that one out of every five drivers in America will be 65 or older by 2030. The car and the drivers license represent freedom and independence to to drivers of all ages. There are very real and difficult conversations which are taking place daily by families whose children are beginning to question their parents ability to safely operate a vehicle or drive amongst and with their fellow drivers. These personal conversations are difficult enough, older drivers are generally some of the safest and to insinuate otherwise can create a rather tricky family conflict. Now, state governments are getting involved, the issue, whether or not older drivers should be tested more frequently in order to retain their driving privilege. The fundamental issue is it discriminatory to test one population to keep their driving privilege than another. Recently, one of the more lenient states when it comes to older drivers, Tennessee, has had some rather interesting developments related to testing the elder population more frequently. The Tennessee Attorney General ruled it was not unconstitutional or discriminatory to test older drivers more frequently, provided it met the standard the testing was rationally related to a legitimate state interest. Some would argue it would be rational to test all drivers more frequently, not just older drivers. DefensiveDriving.com has developed a course specifically designed to assist the older driver in updating their driving knowledge. Our Online Driver Safety courses, specifically our mature driver improvement courses, are designed to consider the older, more mature driver and what mature driving challenges might be faced by the older driver. Ultimately, this debate will probably end up in court a the highest level, but in the interim, DefensiveDriving.com encourages families to sit with their older loved ones and discuss their driving skills. Ride with them to assess and have them take an online course to “refresh” their knowledge, so the older drivers amongst us are the safest. 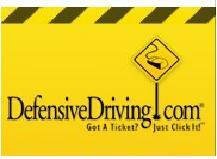 DefensiveDriving.com offers State approved Mature Driver Improvement courses in Tennessee and New Jersey!